SHENZHEN—The resale price of property in mainland China has dropped by more than 40 percent in recent years, causing some local people to abandon their properties when they are unable to meet the mortgage payments. According to a recent Sina Report, prices of some properties in Shenzhen have fallen to US$100 per square foot, which is a 40 percent decrease from the record high of $190. Houses will become, as the report says, a negative asset to most owners due to continuing price decreases. A woman surnamed Li said that early this year, she paid $160 per square ft. for a 430 square ft. property. She decided, however, to relinquish ownership after only three months of mortgage payments. The property, she says, has become a money pit because she already owes the bank more than $58,600 even though the property is worth less than $44,000. If she were to keep it, she would end up paying the bank about $146,400 in principal and interest. According to the report, most owners, like Li, find themselves in a negative equity pit because even if they sold their properties, they would still be unable to pay off their loans. Two other property owners recently stopped paying their mortgages the same month as Miss Li did. In the report, a real estate agent estimated that more than 20 properties in Aocheng, Shenzhen City, are in limbo because the owners have stopped making payments on their mortgages. 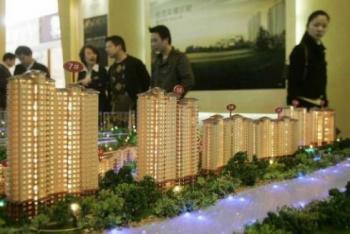 Mortgage default may sound new to many Chinese people. However, during the American subprime mortgage crisis, a large number of debtors defaulted, triggering a rapid increase in debt for banks.